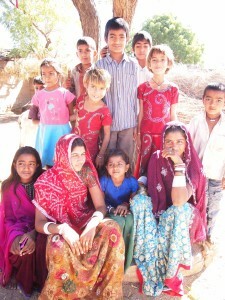 When I was invited to visit a homestay in rural Rajasthan I just could not say yes quick enough. 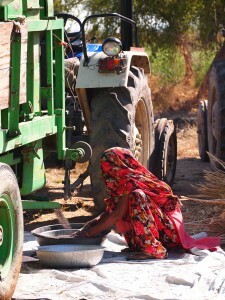 It had been almost a year since I was last in Rajasthan and since my visit to Kutch, I had found myself fantasising about getting back to rural India. The grime and congestion of Mumbai has really taken its toll on me lately and the thought of some fresh country air, colour and homegrown food was just irresistible. I was actually invited to check out the homestay for a company called Culture Aangan who promote rural development through tourism. Their invitation was so that I could provide some consulting advice on their operations and not in my capacity as a travel blogger or writer. 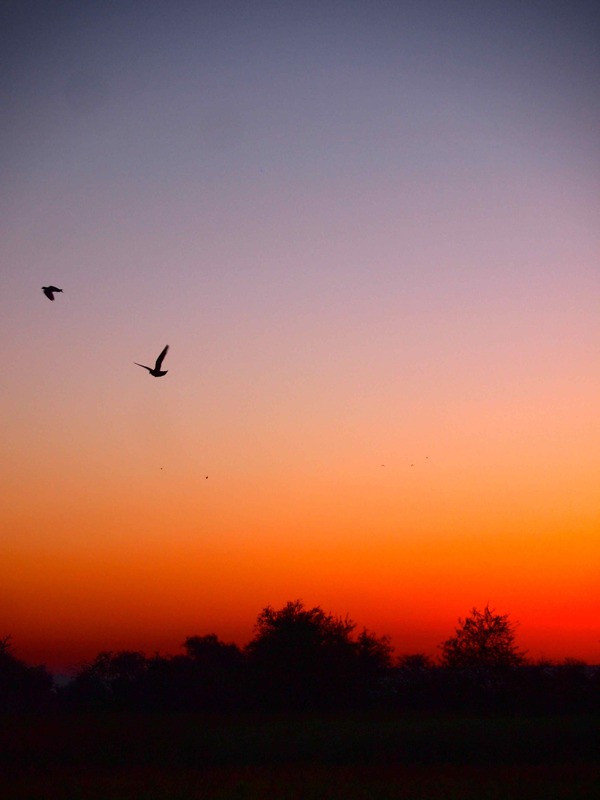 I went along with a friend, who is also a travel writer. Her formal review of the property can found here. 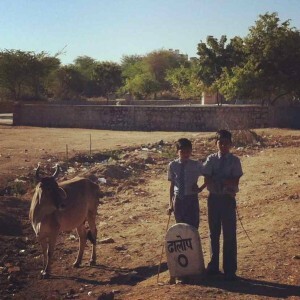 We arrived on the overnight train from Bombay in the small town of Rani. It was one of those little train stations where all the auto drivers immediately converge upon the two lost looking people. Thankfully Pushpendra, our guide was there to greet us as well and take us out to our home for the next couple of days. The first time I laid eyes on it I just breathed a sigh of relief. It was stunning! 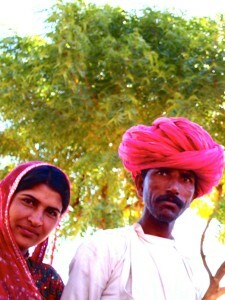 The family who ran the homestay were descendants of Rajputs and great horsemen. So it was only fitting that they offered to take us out into the village on horseback. Something we did twice, which was just a lovely way to see village life, even if my horse was just a little temperamental and lazy! What I loved about it was just seeing everyone going about their day. Whilst it was a bit challenging, I did manage to get my camera out a couple of times to take some candid photos. The first morning we were there we taken to an opium meet (yes you read that correctly). 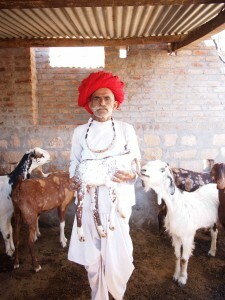 It is where the local shepherds get together each morning and smoke up before heading out to the fields. Apparently you now need a license to grow opium in the region and the government purchases all of it, and sells it back to people who need it for “medicinal” purposes. There were so many kids around us at the meet as well, and everyone wanted to get into the photos. What made me quite sad was finding out that all of these children were already married. The tradition in the region (although illegal) is to marry the children at 3 months of age. Because they are not able to walk then, they are placed on large thali (steel plate) so that they can do the symbolic walk around the fire 7 times without actually having to walk it. Thankfully the girls don’t go straight to their in-laws after marriage, but wait until they are older before living a married life. We also visited some of the local artisans around the area, which was definitely one of my favourite parts of this trip. 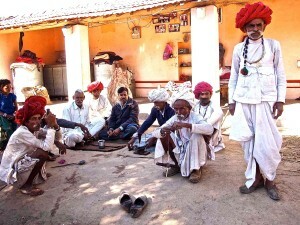 After my taste of crafts in Kutch I was really interested to see how it differed here in Rajasthan. What amazed me was just how different it was. 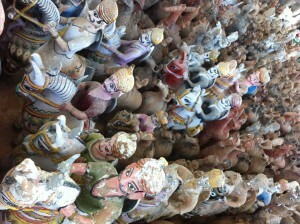 We visited one artisan who made the steel doors for temples, another who made these colourful terracotta horsemen. 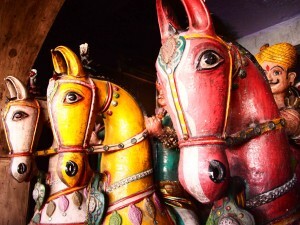 The Terracotta horsemen are given to temples as offerings after a wish has been granted, and held by the hundreds at the temple as a form of worship. 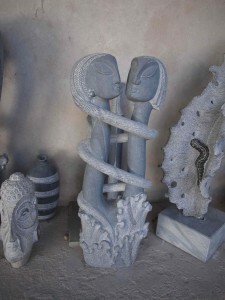 We also visited a sculptor, Pankaj Gahlot, who just blew me away by how beautiful his creations were. 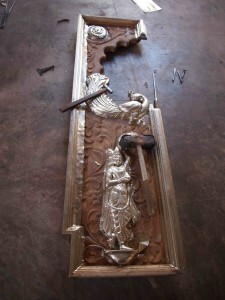 So delicate and detailed, his sculptures were modern and creative. Next stop was a visit to a camel NGO called Camel Charishma. 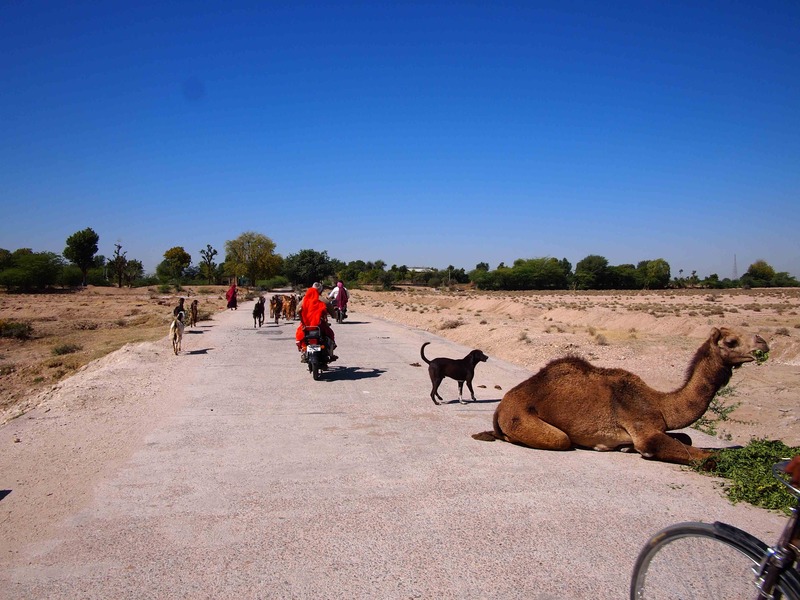 The purpose of the NGO is to promote care of camels, with veterinary care available for them. It also promotes camel products, with soap and ice cream made from camel’s milk and bags produced from camel hair. 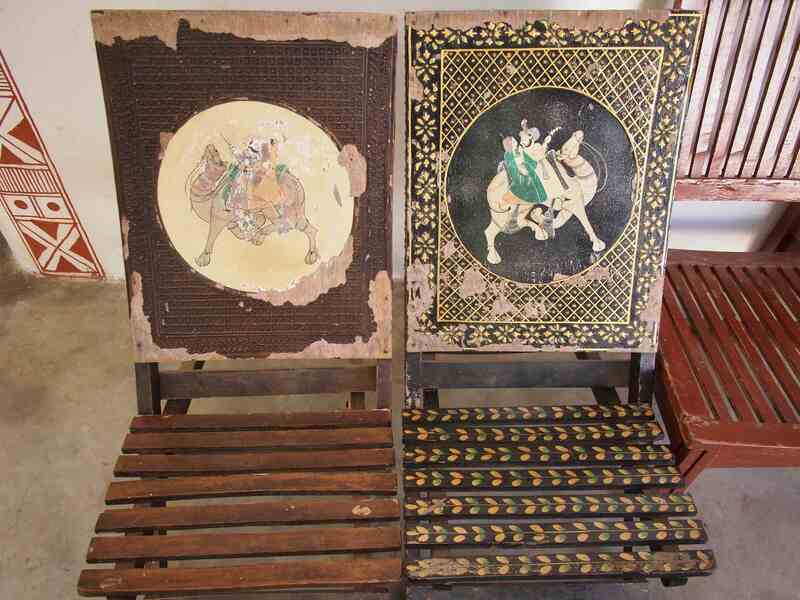 They also had some gorgeous furniture, that was unfortunately not for sale. Whilst we didn’t see a camel at the NGO, we did see a few on the street. I just love this classic rural street scene, a camel, a dog , goats, sheep, bikes, cars, everyone is on the road! It was mustard harvesting season whilst we were in Padampura. 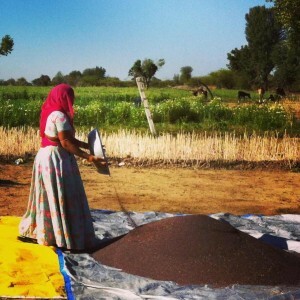 Whilst I was sad to miss out on seeing the glorious fields of yellow mustard flowers, it was fantastic to get to watch how mustard seeds were harvested from the dried husks. 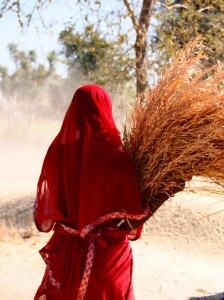 The sight of these gorgeous women carrying large bundles of mustard back and forth was also inspiring. They really do work so very hard. 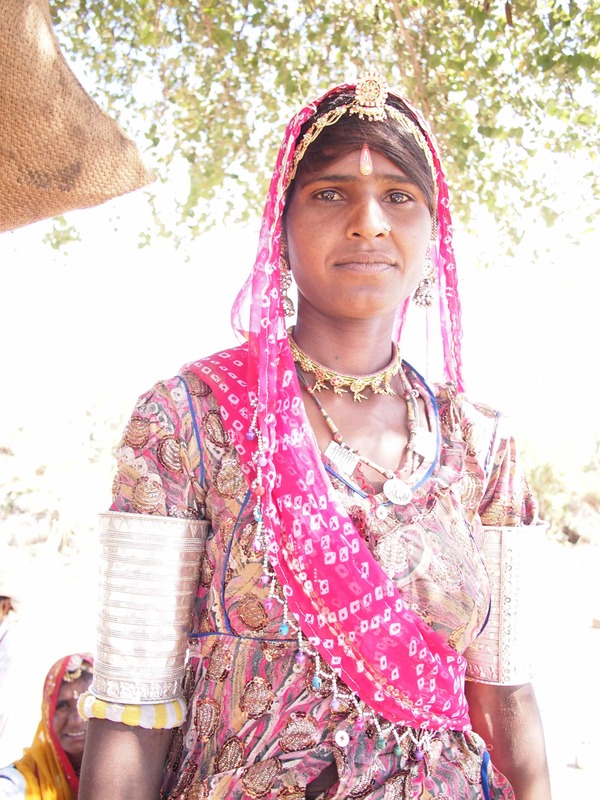 In the village we were told that there were lots of nomadic tribespeople, some who were begging because they were trained as snake charmers and their practice had been outlawed so they now had no means to earn money. Whilst I don’t condone snake charming as a profession, it is sad that no thought was had to retraining people who lost their livelihood as a result of the practice being outlawed. Another nomadic tribe we visited were quite wealthy, making their money from animal trading. As a way to hold their money and display their wealth, the women wore some spectacular jewellery, just like this beautiful woman. On our last evening we were treated to some fabulous entertainment. From local music to some great dancing. 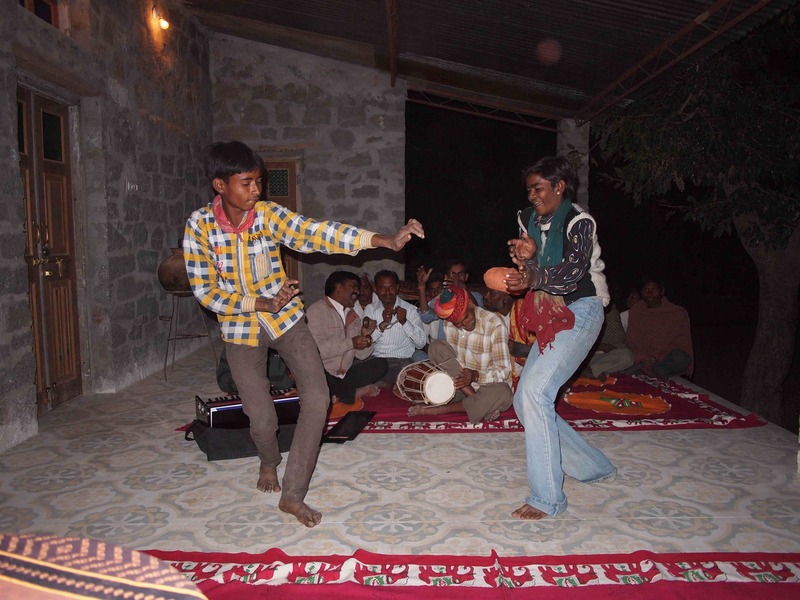 I remember one thing I really love about Indian men, they love to dance! 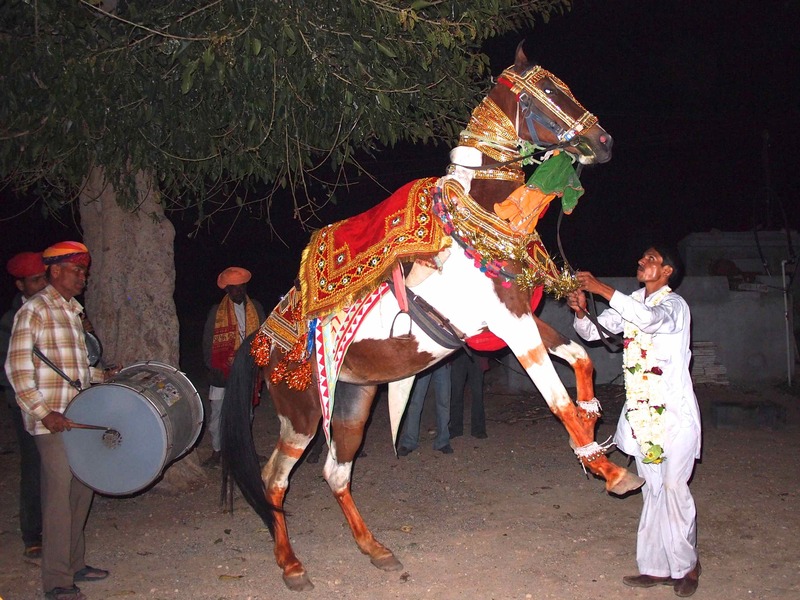 We were also treated to a show by a dancing horse, that traditionally performs at weddings. His trainer here in the photo was coincidentally getting married in a few days, so this was a bit like a warm up to his big night. The piece de resistance of the whole evening had to be this guy who my travel companion caught on video, a fabulous Rajasthani beat boxer who you can see on You Tube here. 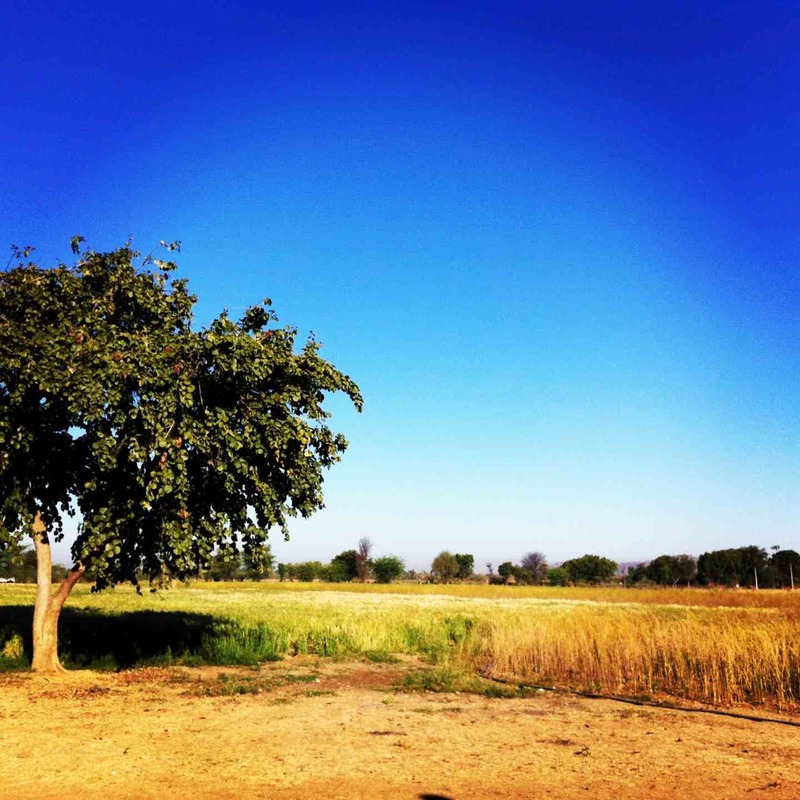 I woke up the next morning to a spectacular sunrise over the wheat fields, before bidding farewell to this lovely little homestay in rural Rajasthan. Absolutely, it was a great experience!